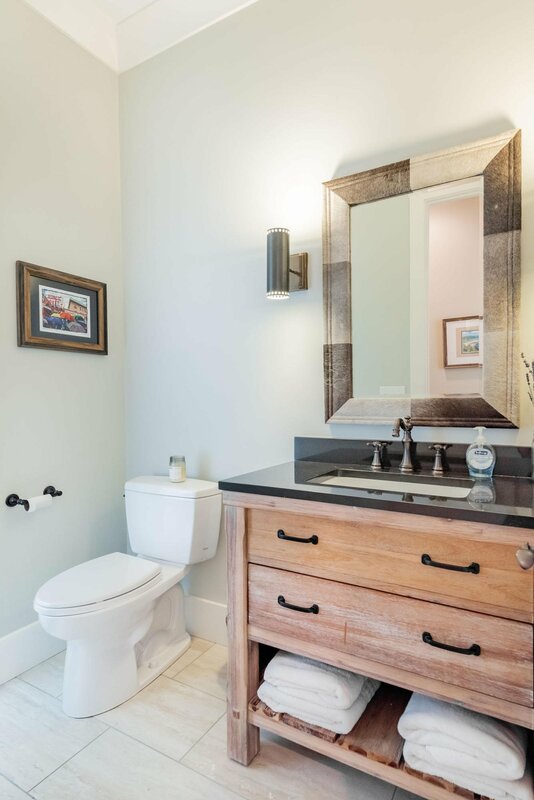 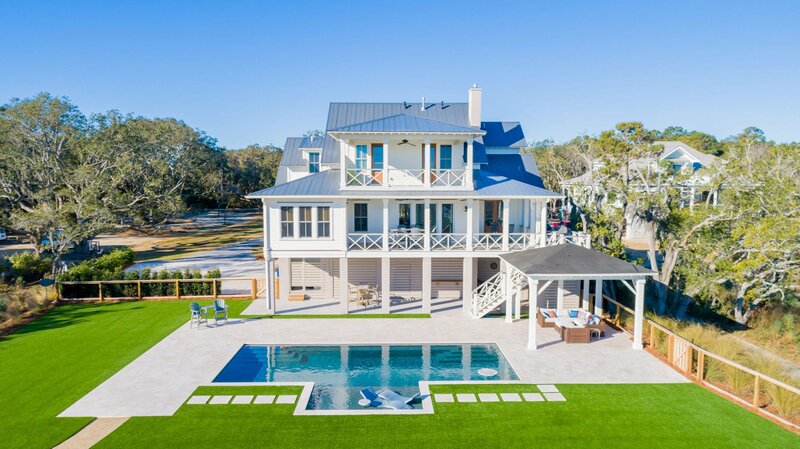 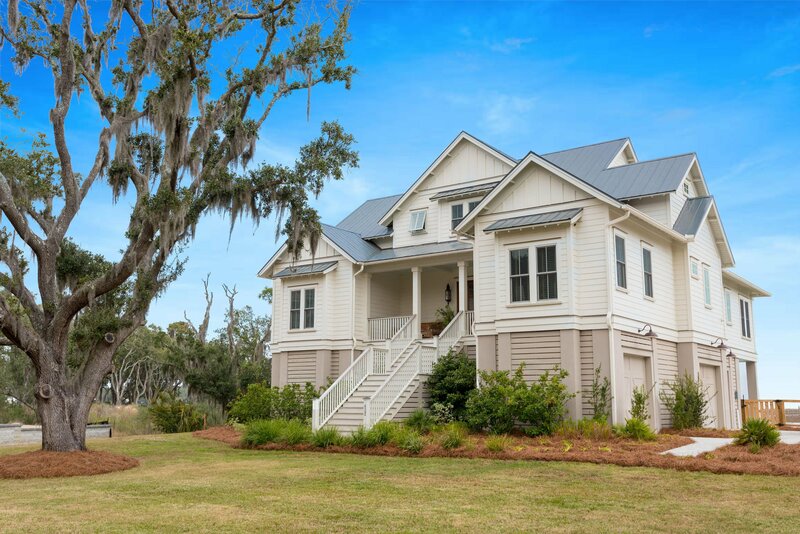 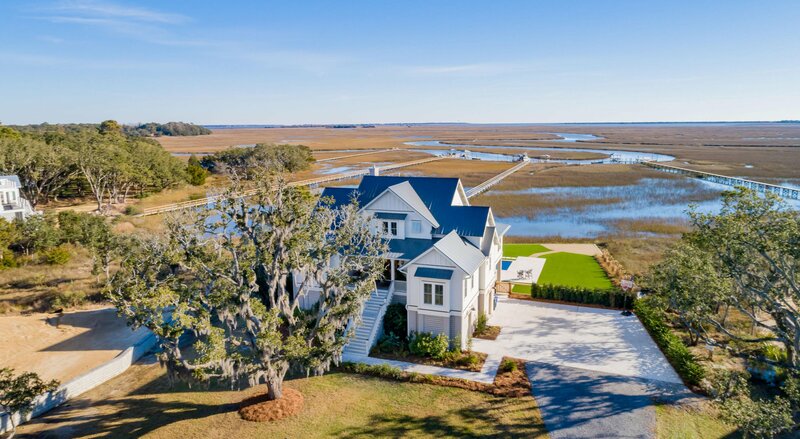 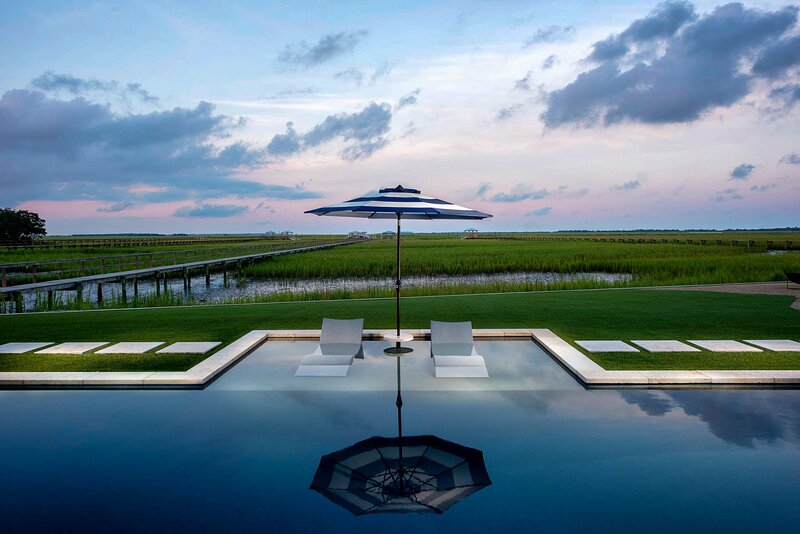 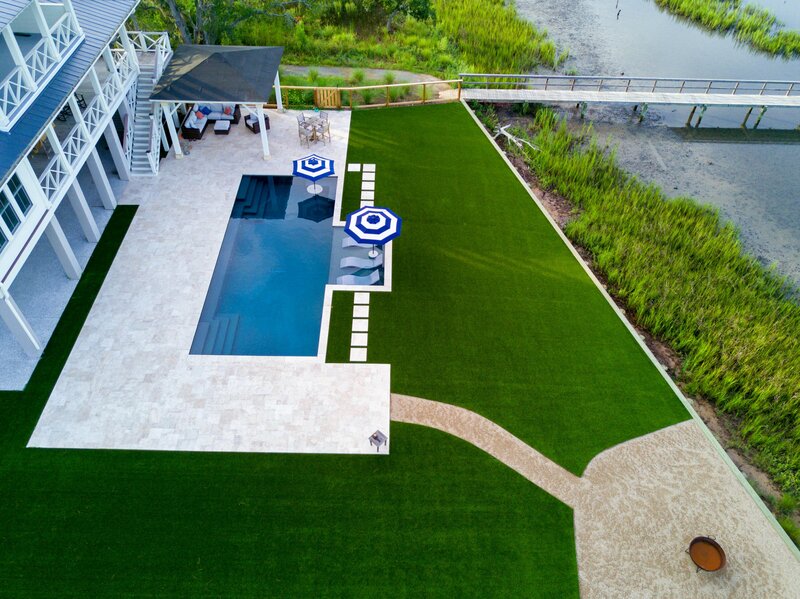 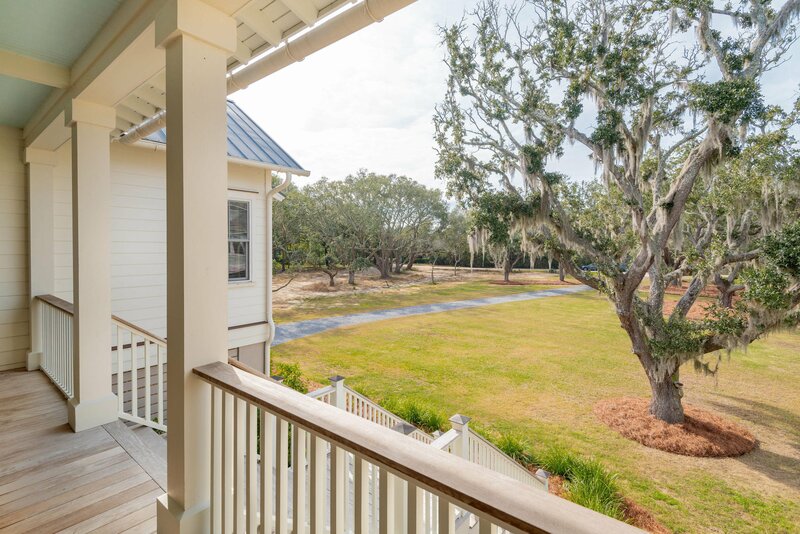 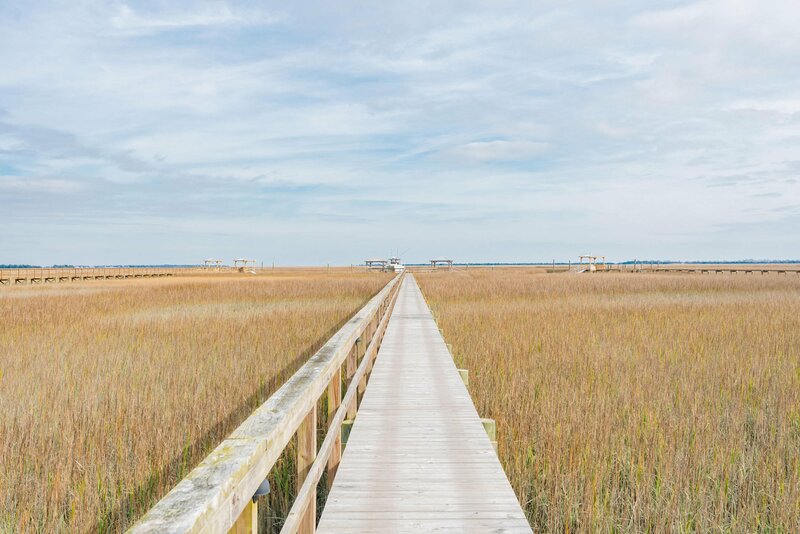 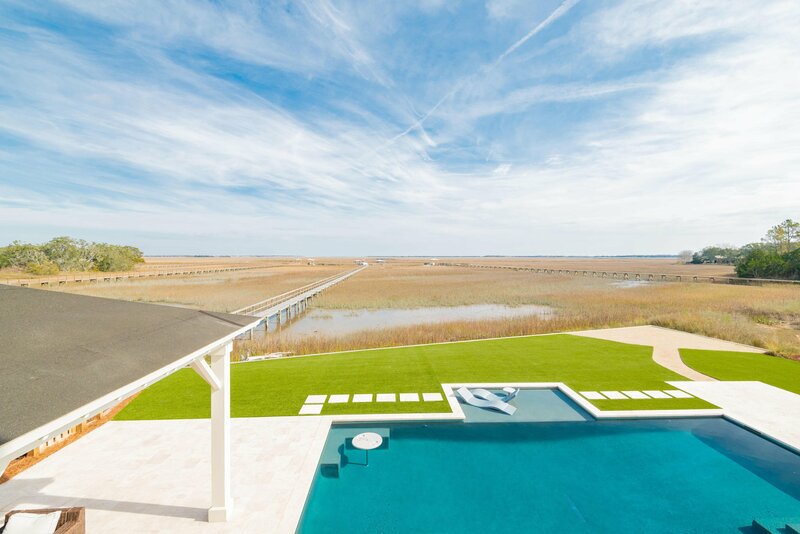 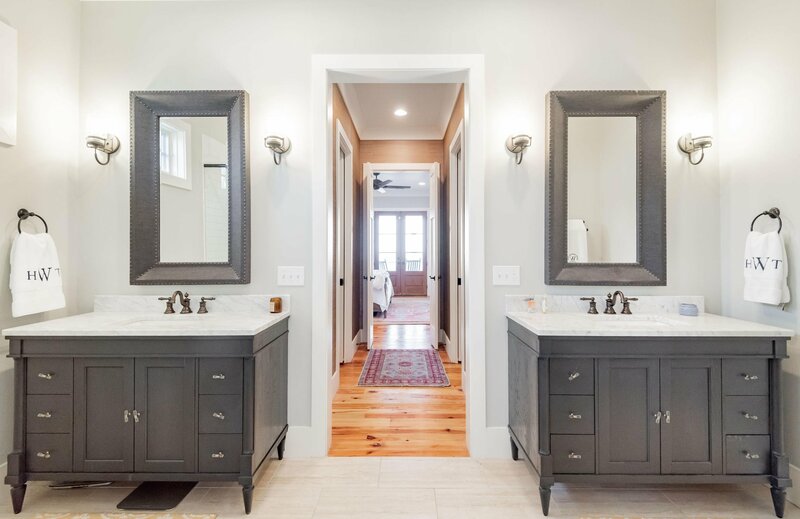 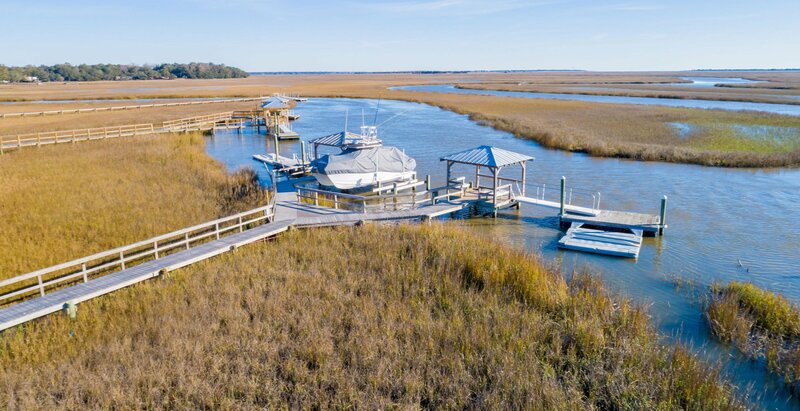 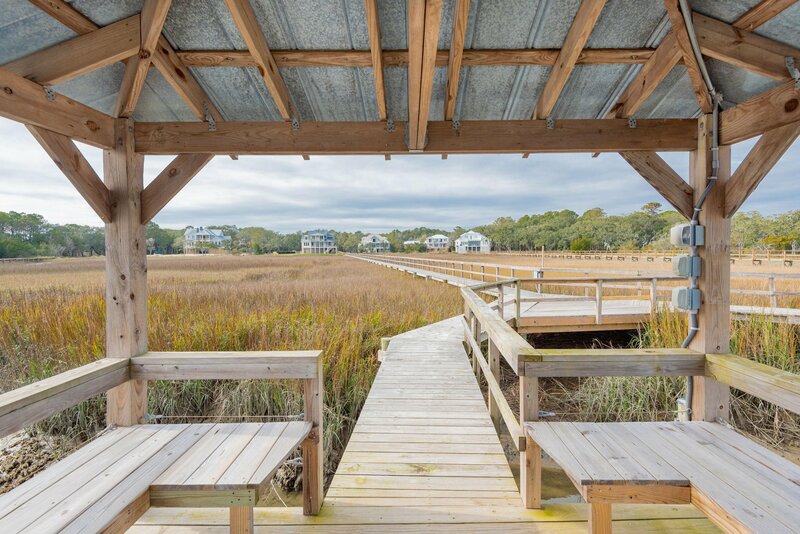 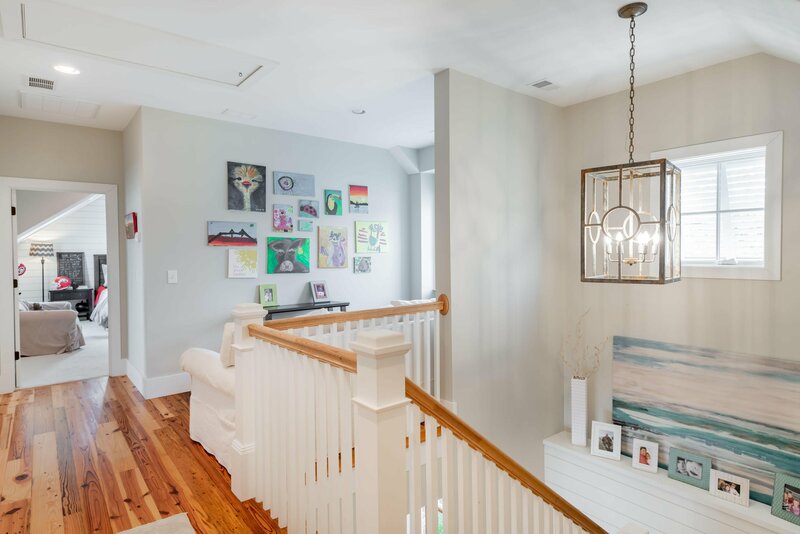 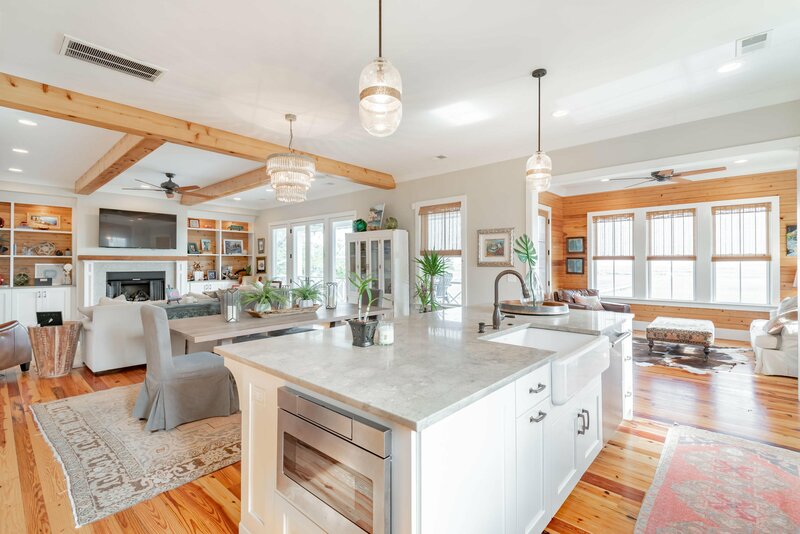 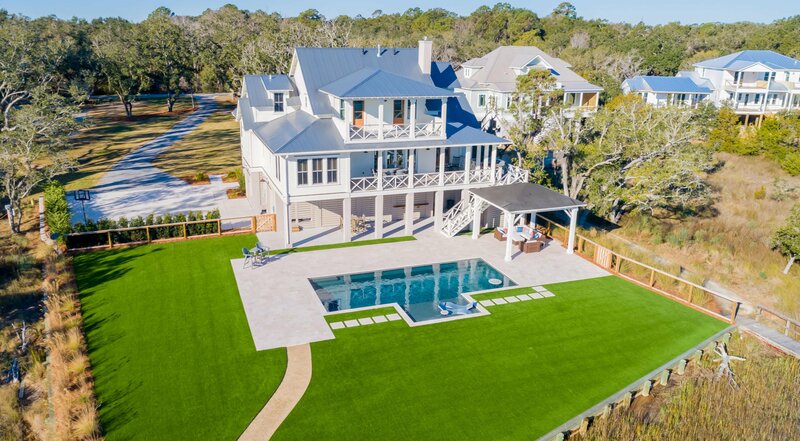 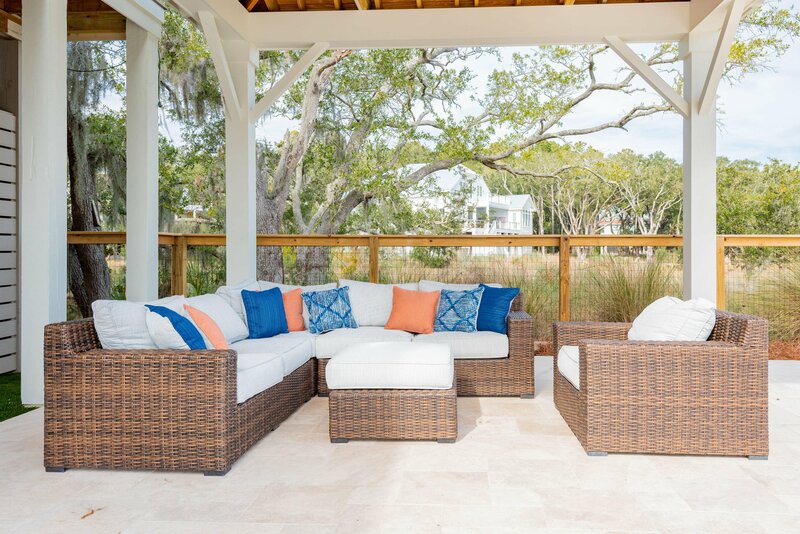 This tranquil marshfront & deepwater home is located on James Island in the gated neighborhood of Belle Terre, nestled into a dramatic Lowcountry setting. 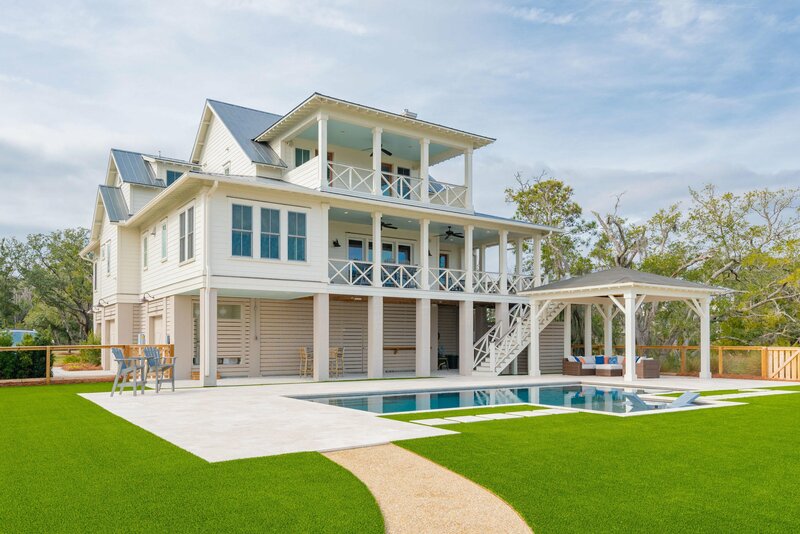 The expertly designed and crafted home takes in expansive views of the marsh and creek from nearly every room in the home, and the backyard boasts a gorgeous pool and ample outdoor living spaces. 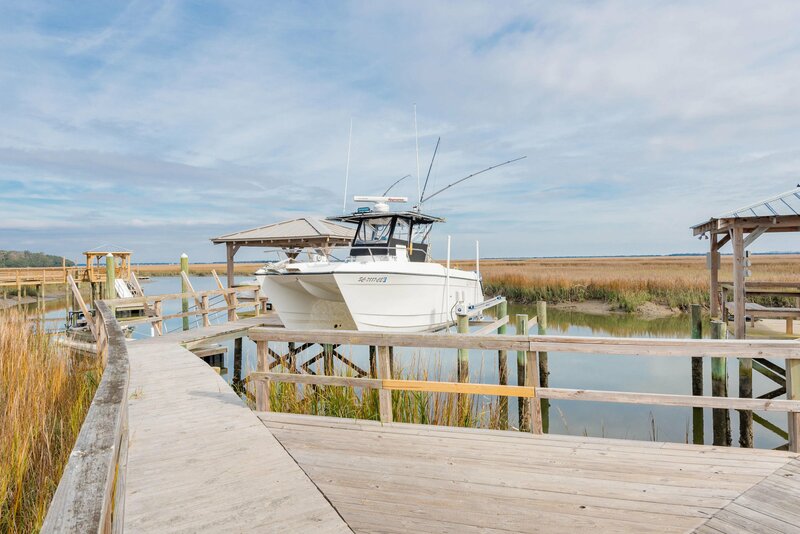 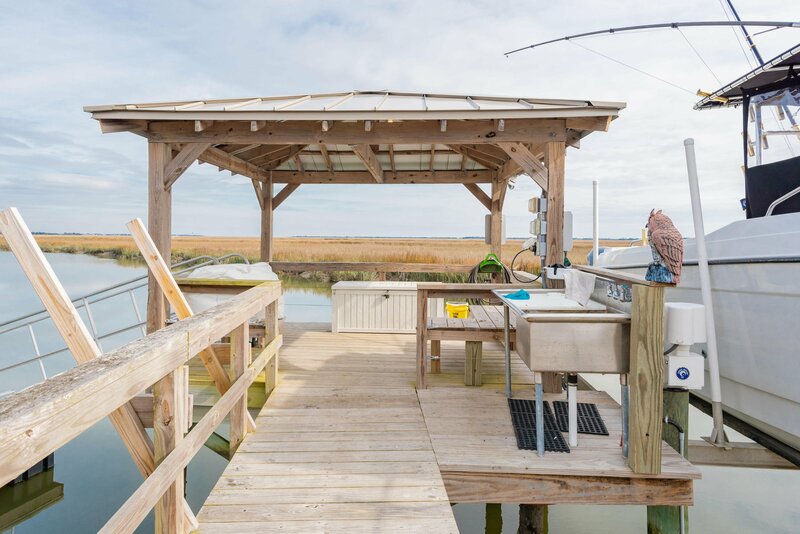 Enjoy boating, fishing or crabbing from your private dock. 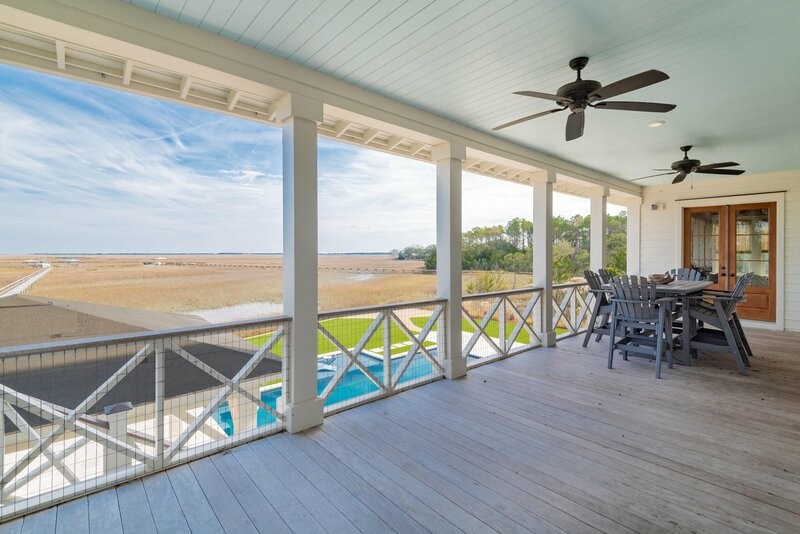 The design details in this floor plan marries Lowcountry coastal style with elegant sophistication. 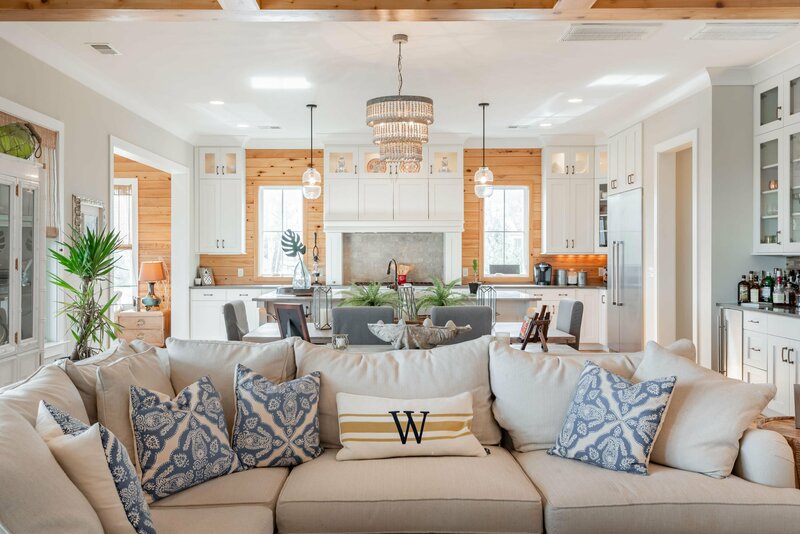 A light-filled open floor plan combines the living room, dining room and kitchen into one cohesive space. 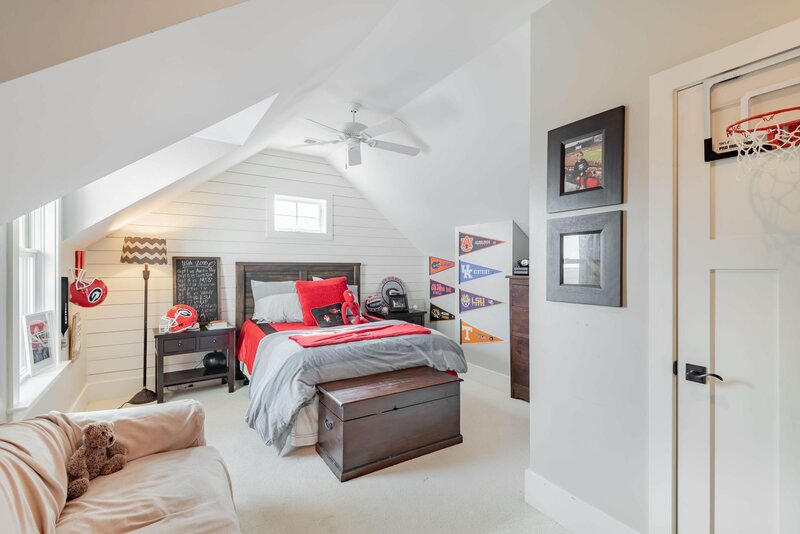 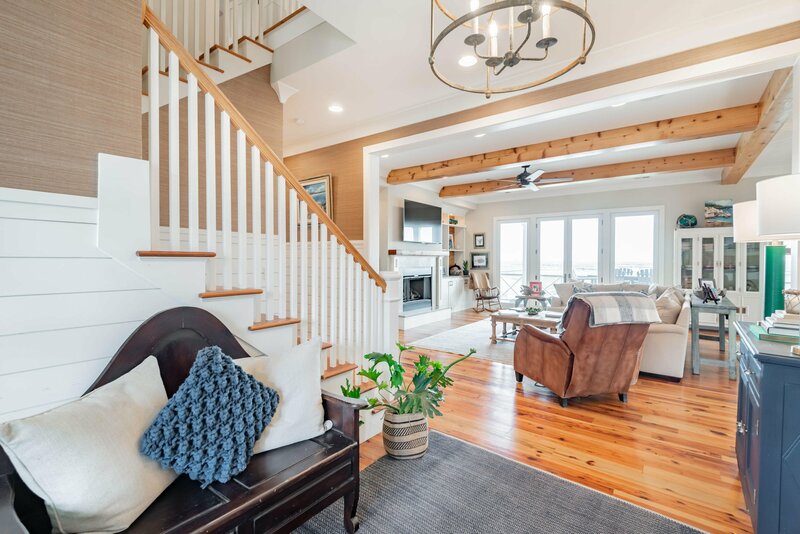 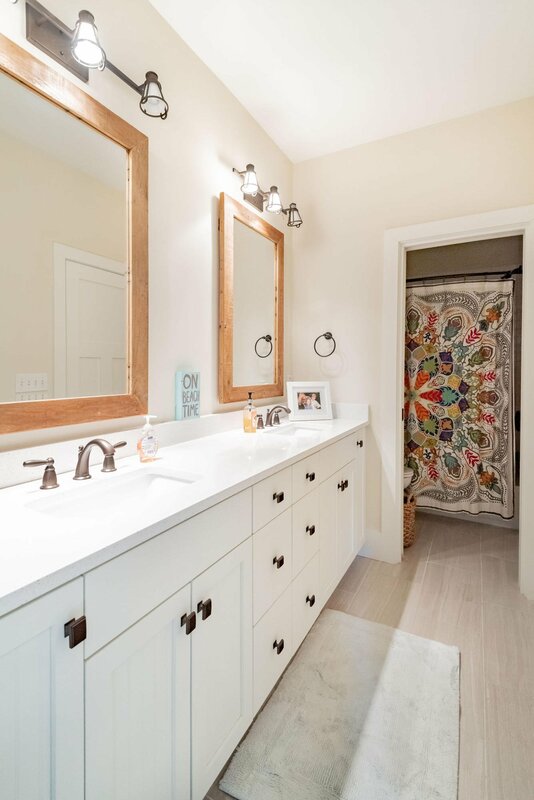 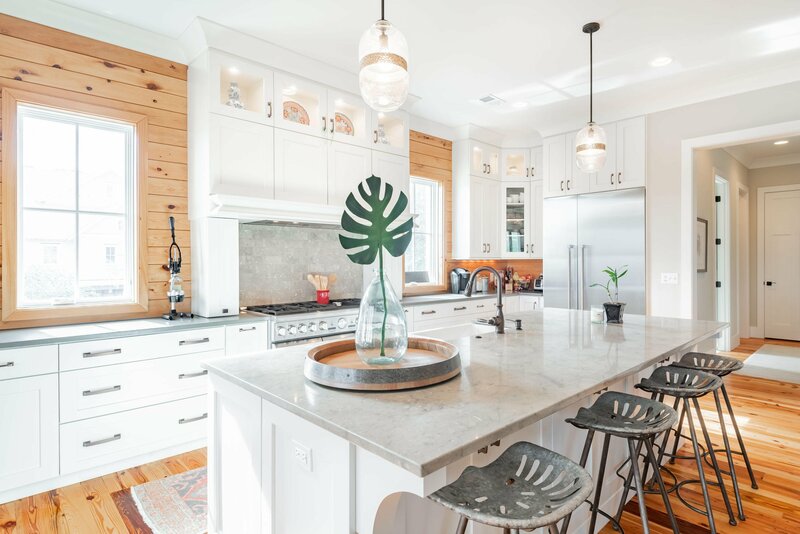 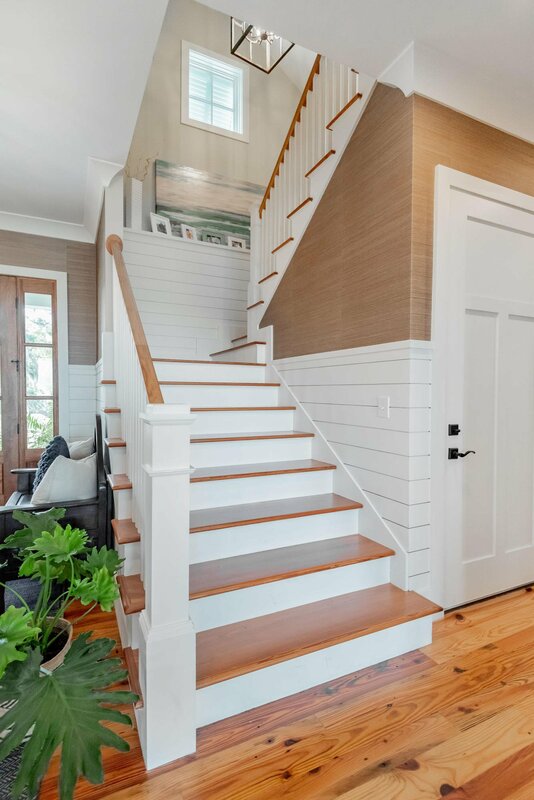 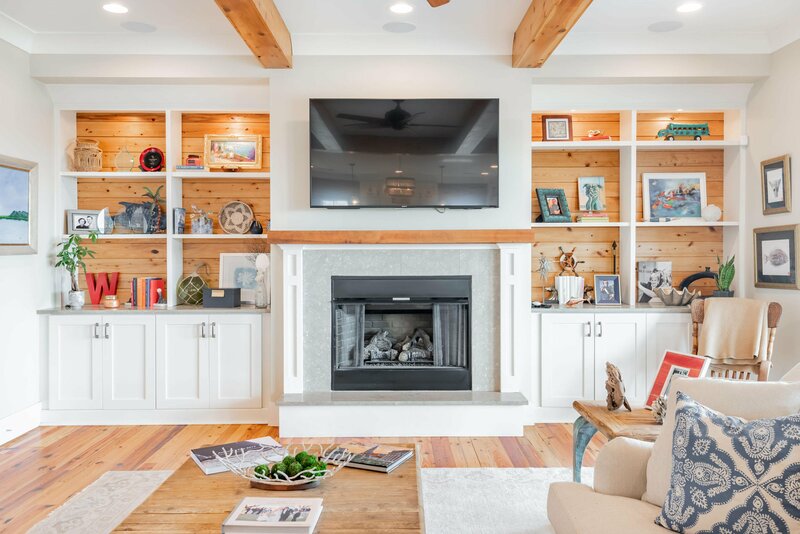 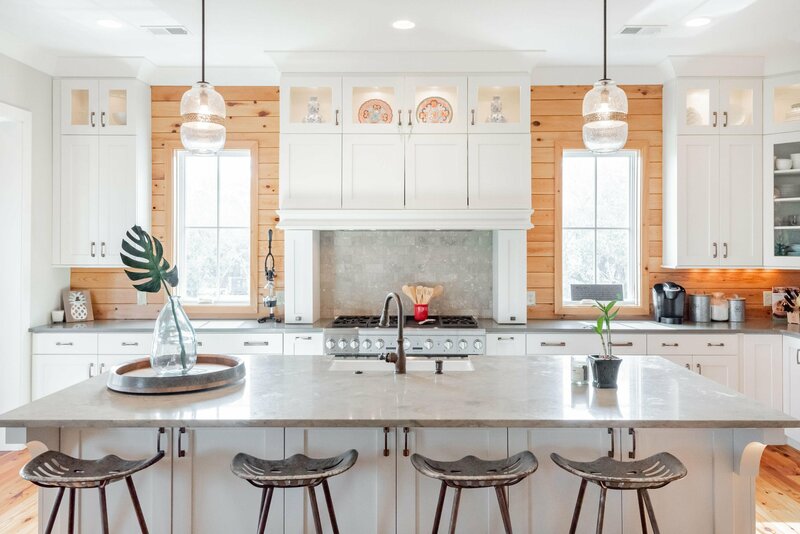 Thoughtful details include exposed beams, beadboard, shiplap, wet bar, a gas fireplace, built-in bookshelves and an abundance of natural light. 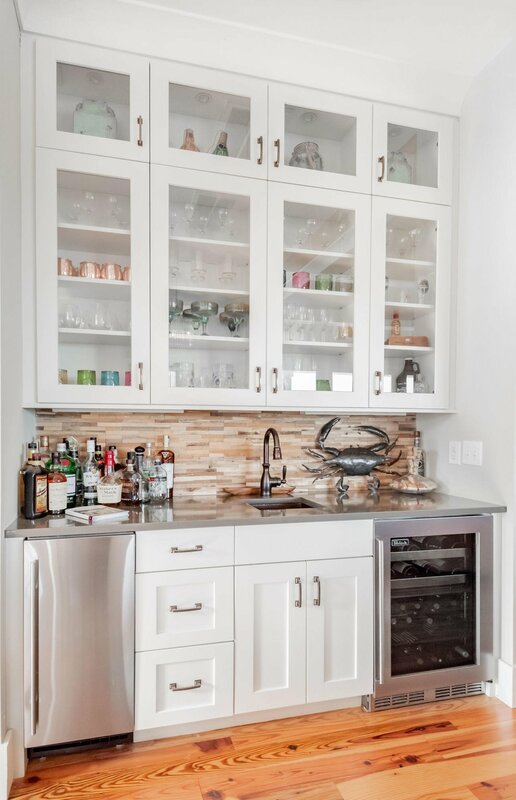 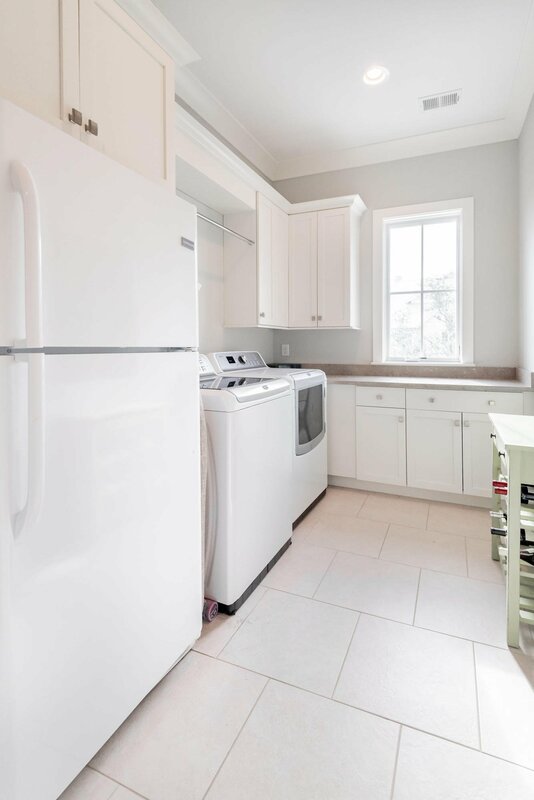 The kitchen is outfitted with high-end stainless appliances, wood and tile backsplash, quartz counters, and an oversized center sandstone island. 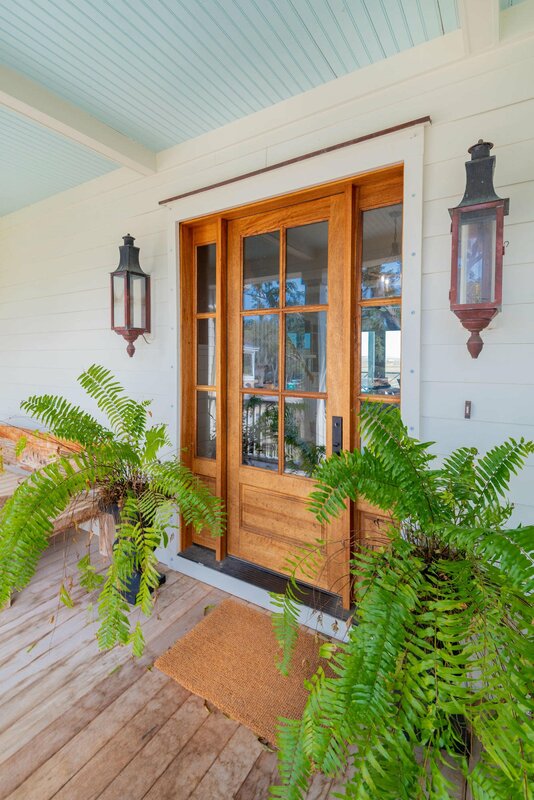 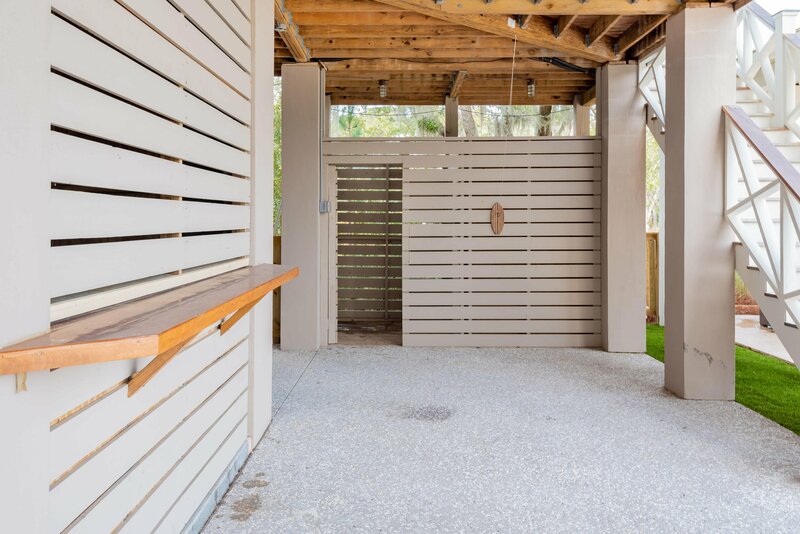 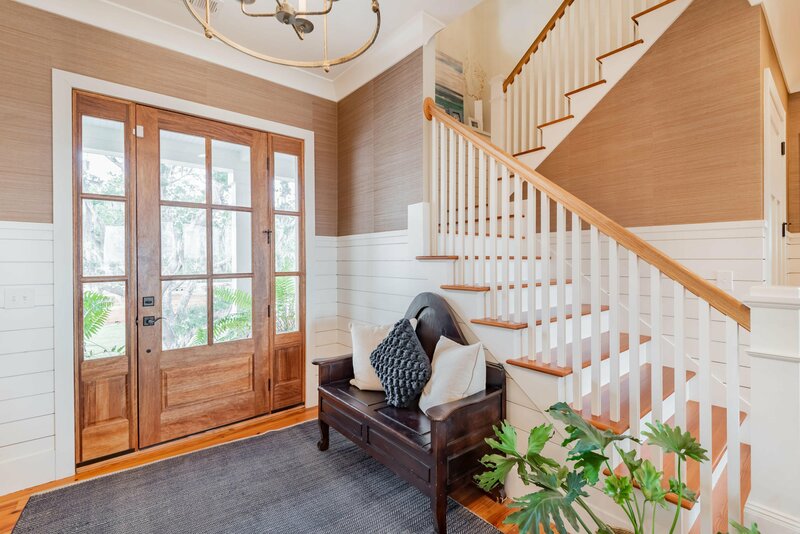 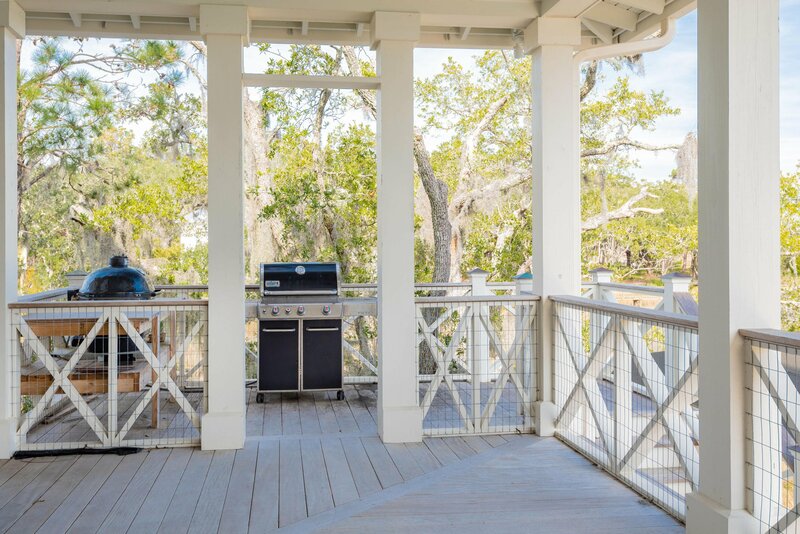 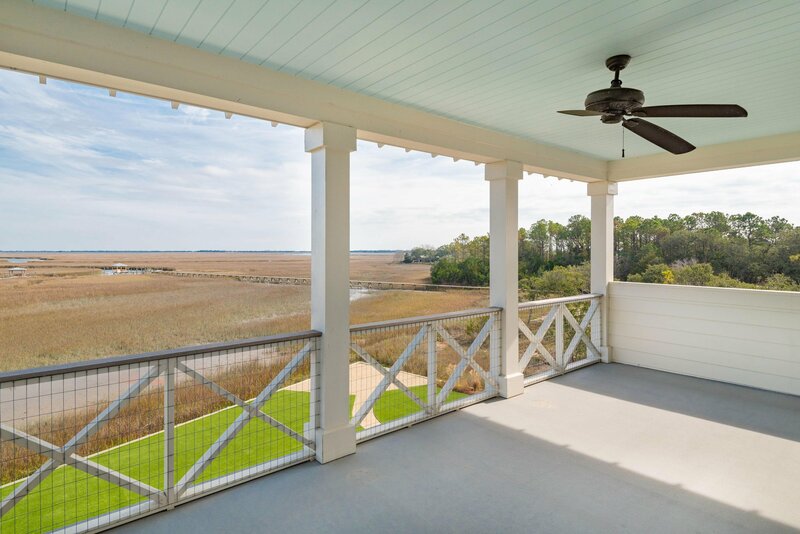 A screened porch, opening from the living room, provides a great place to enjoy the beautiful Charleston sunrises and sunsets as well as views of the Harbor. 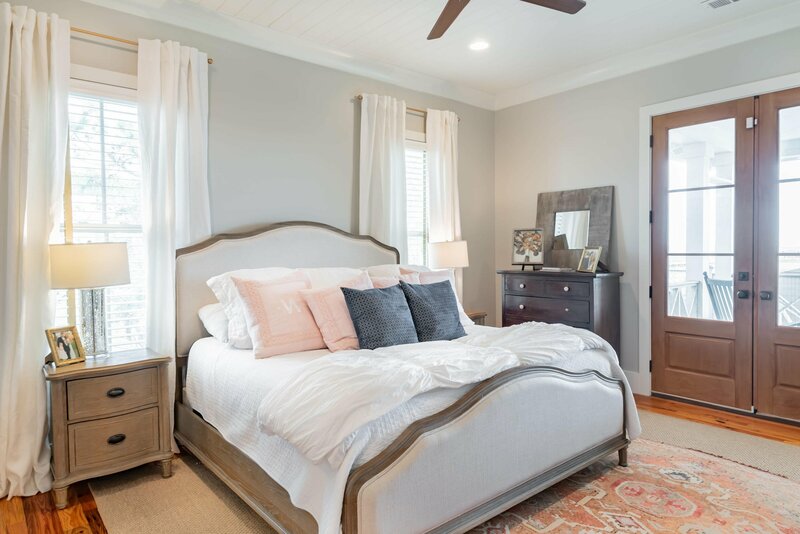 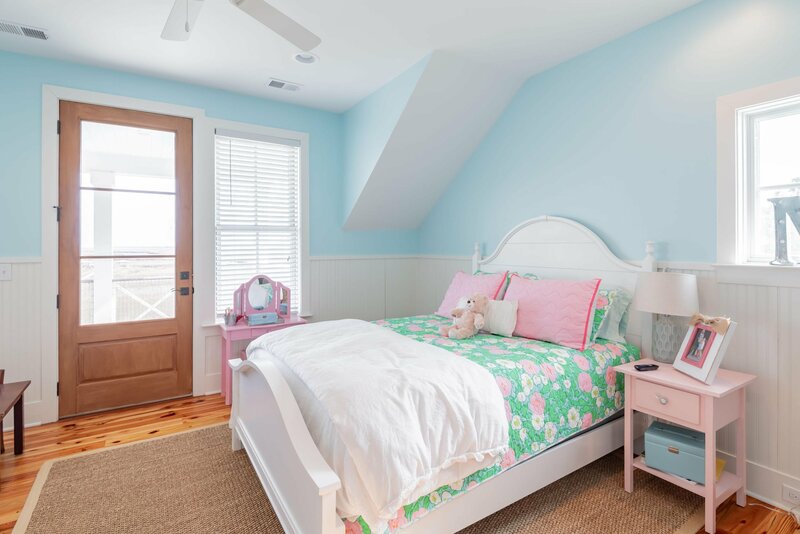 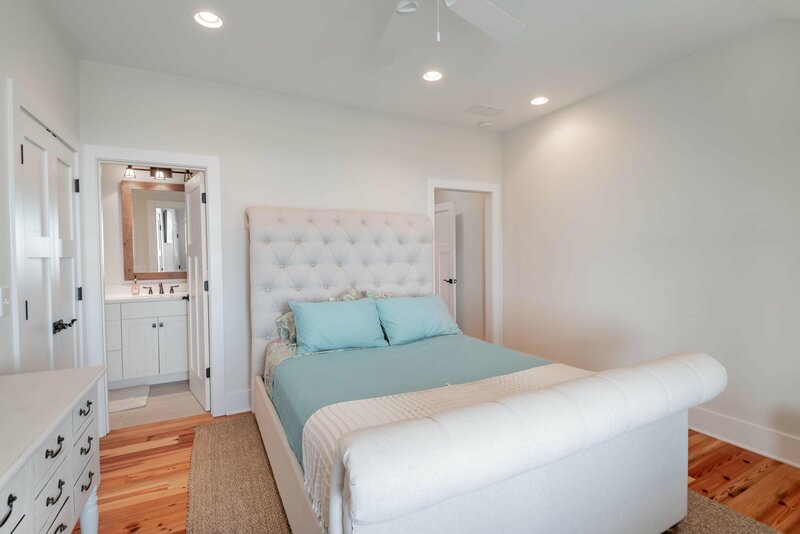 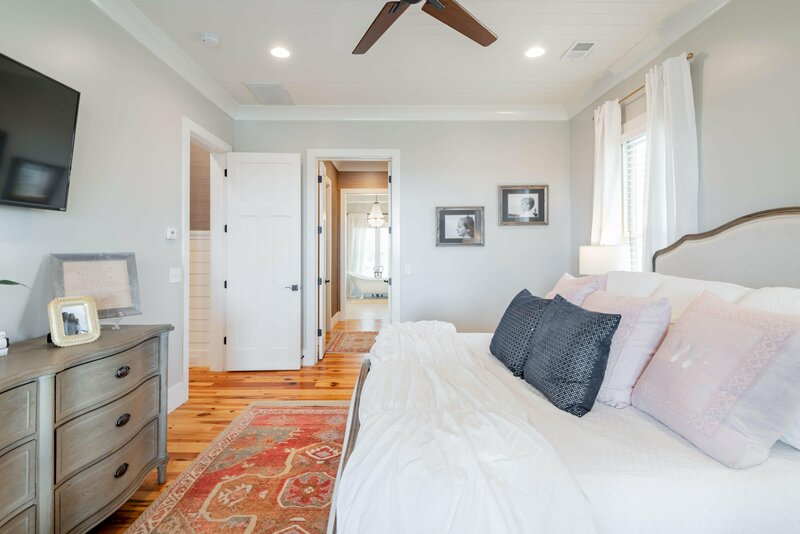 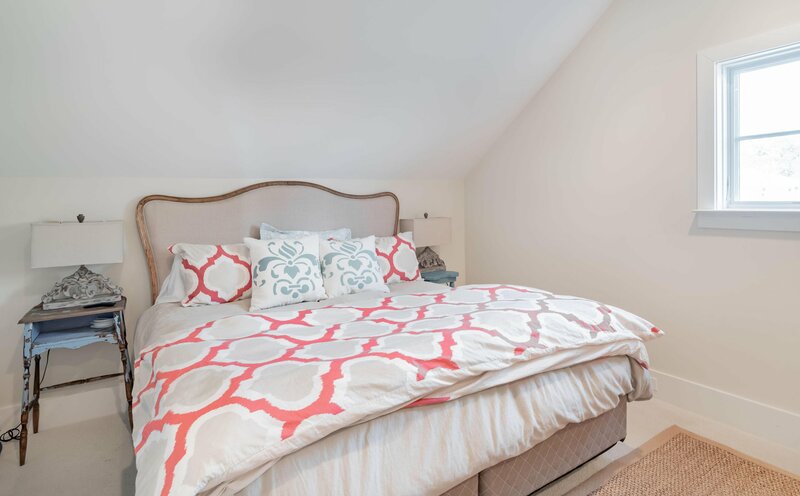 The peaceful master suite is located on the main floor and also has access to the screened porch. 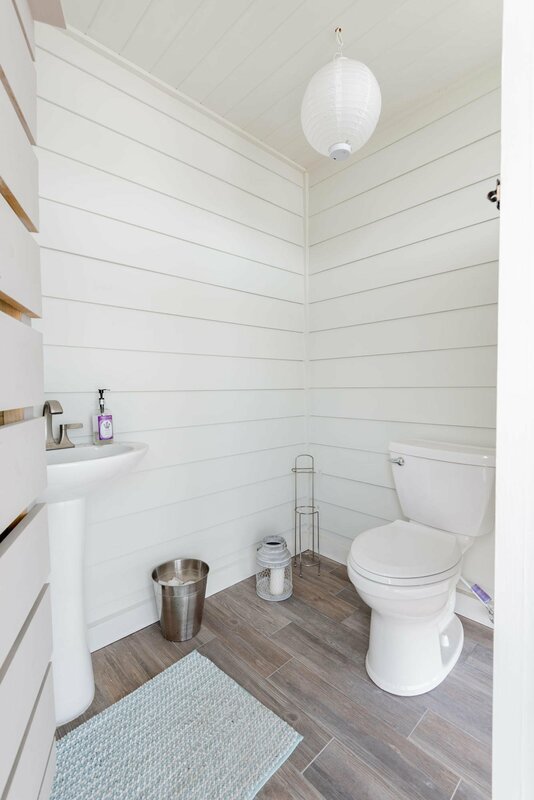 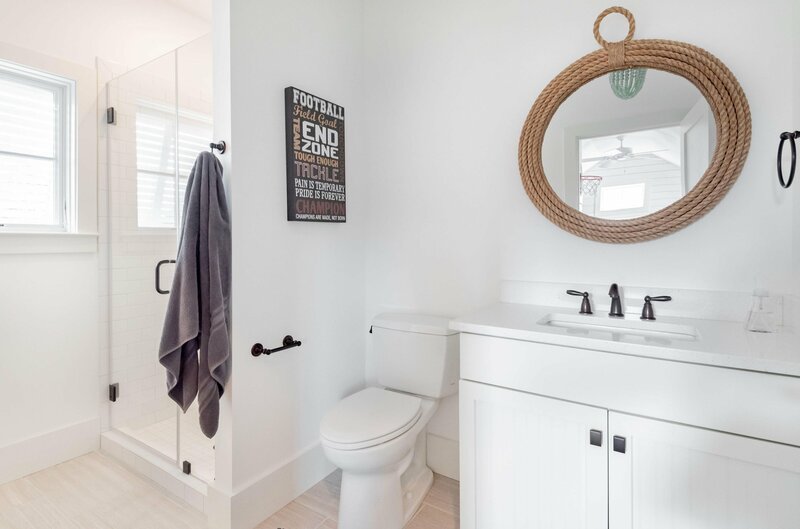 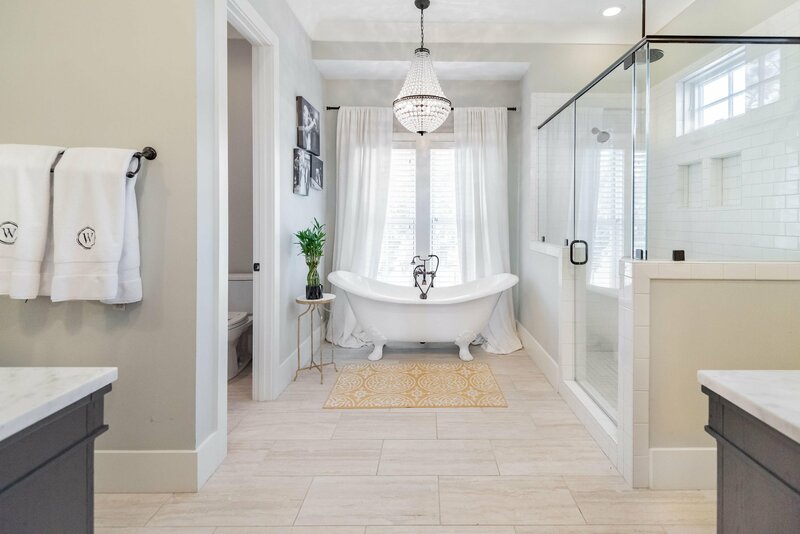 The stylishly appointed en suite bath with a clawfoot soaking tub, subway tile and marble floors and shower is a true showpiece. 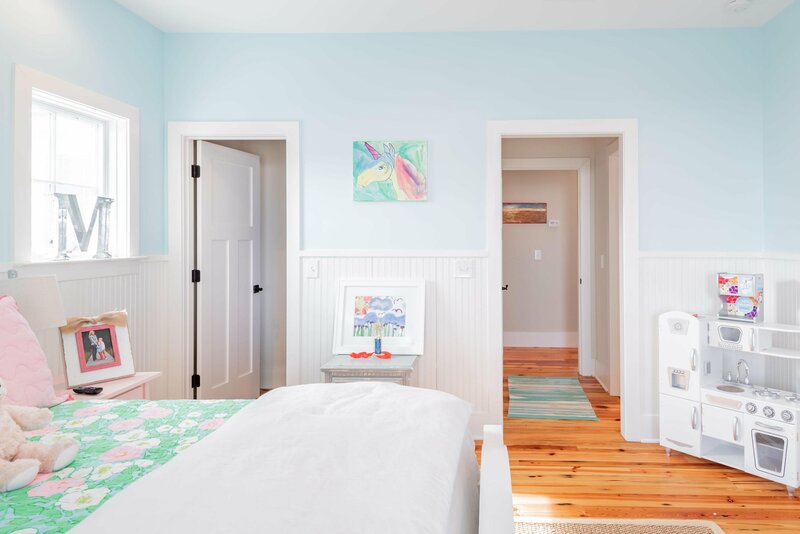 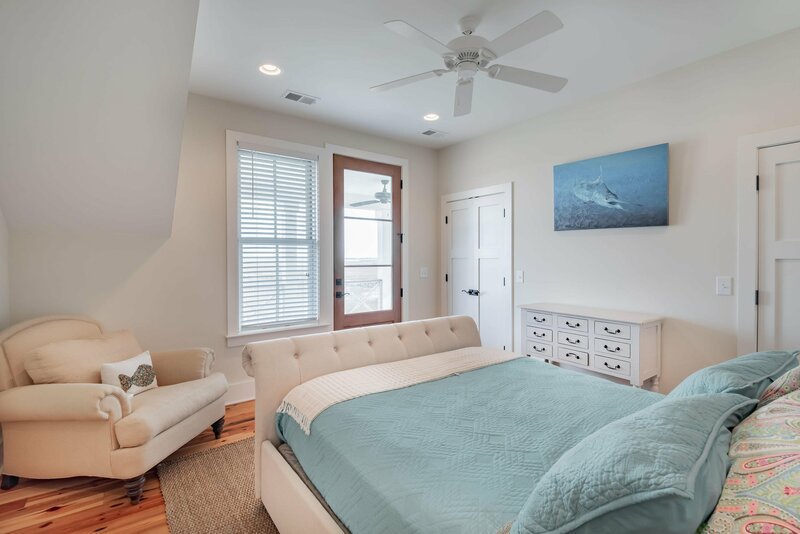 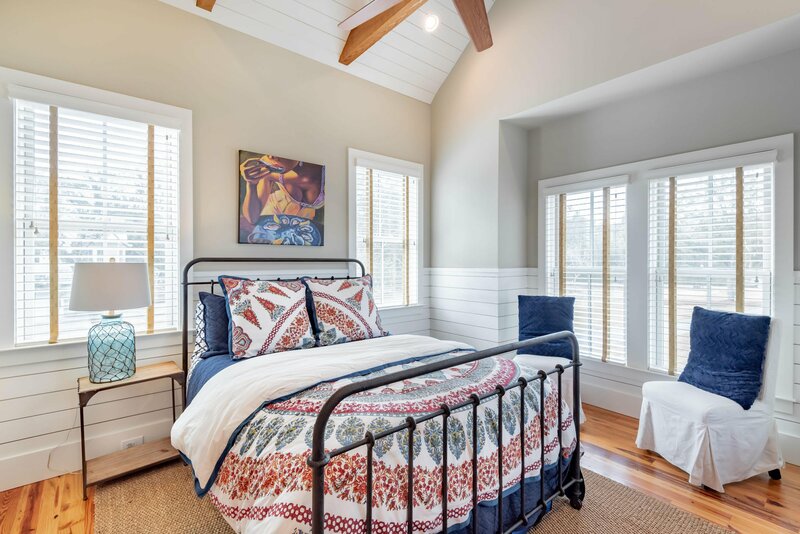 There is an additional bedroom suite on the main floor and three private bedroom suites upstairs, two accessing a covered porch with views of the water. 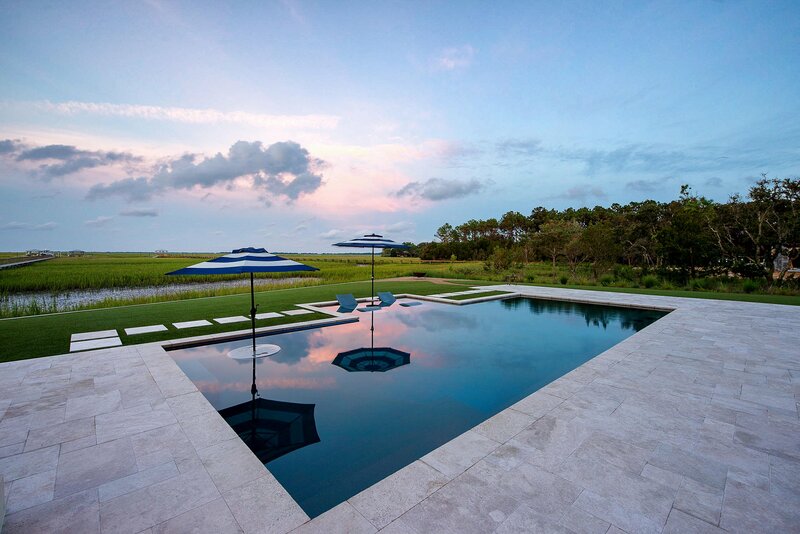 The newly constructed pool is absolutely stunning! 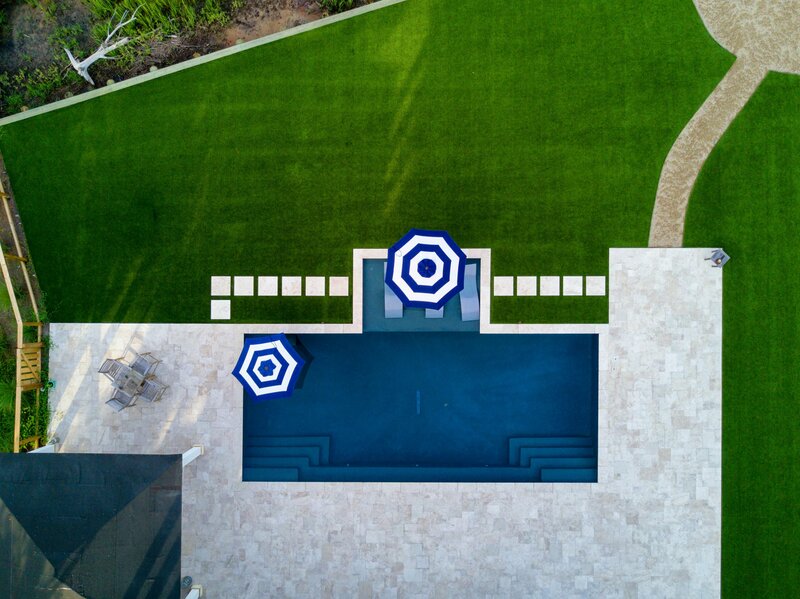 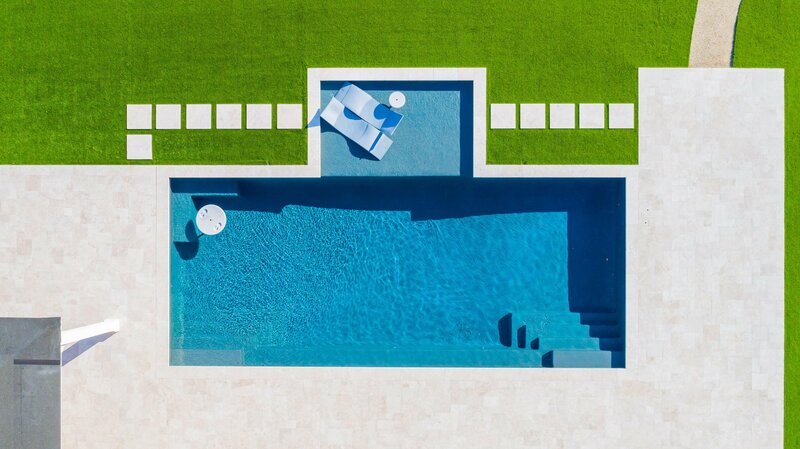 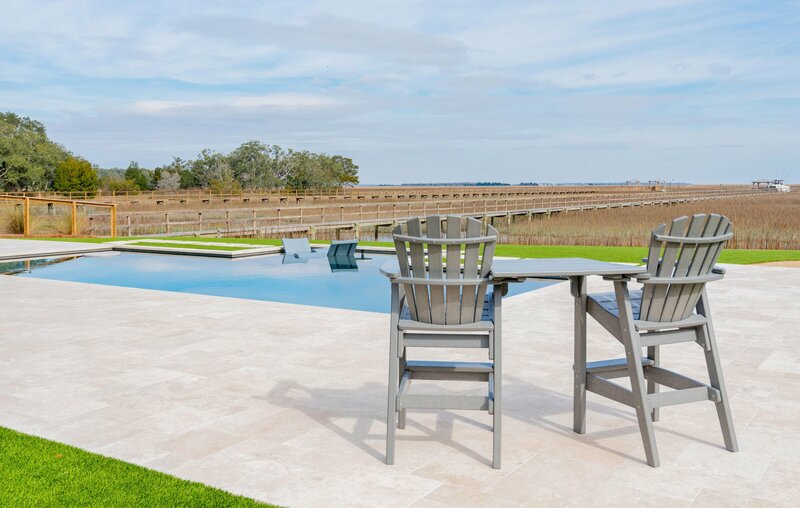 Surrounded by travertine tile and turf this pool boasts a cabana, heated outdoor shower and half bath. 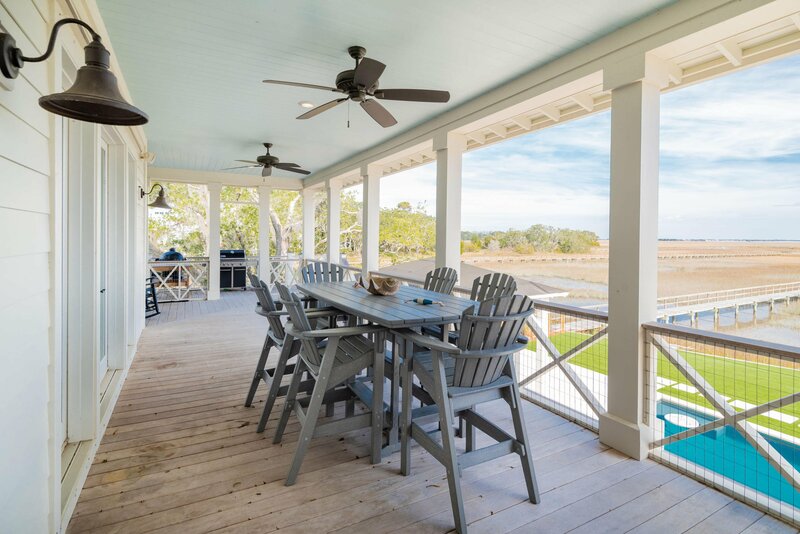 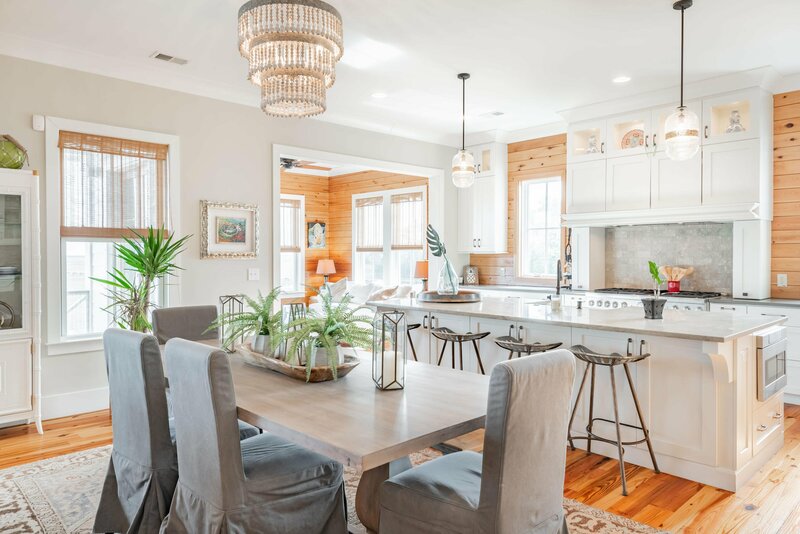 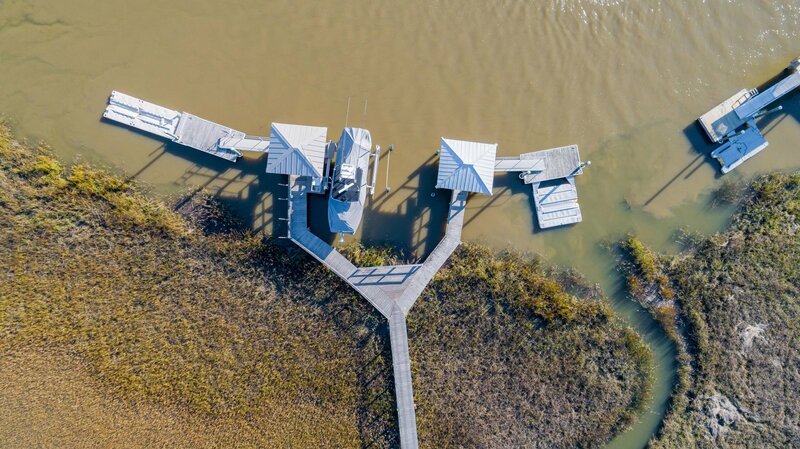 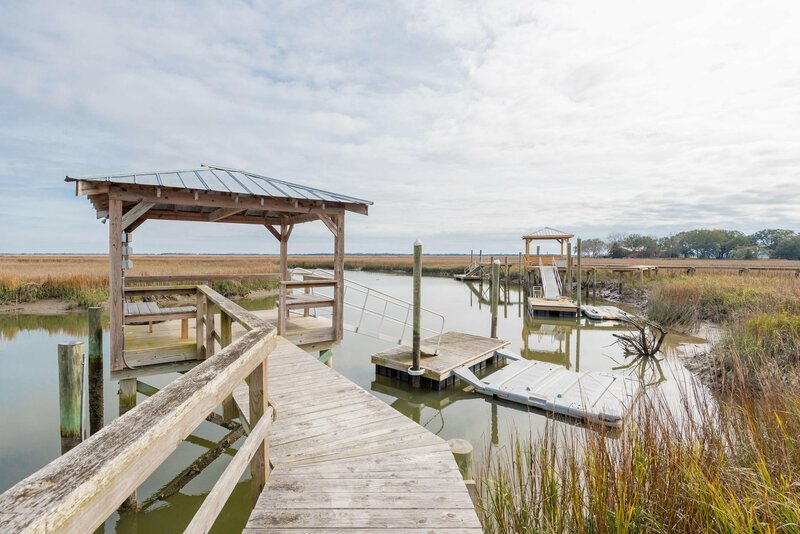 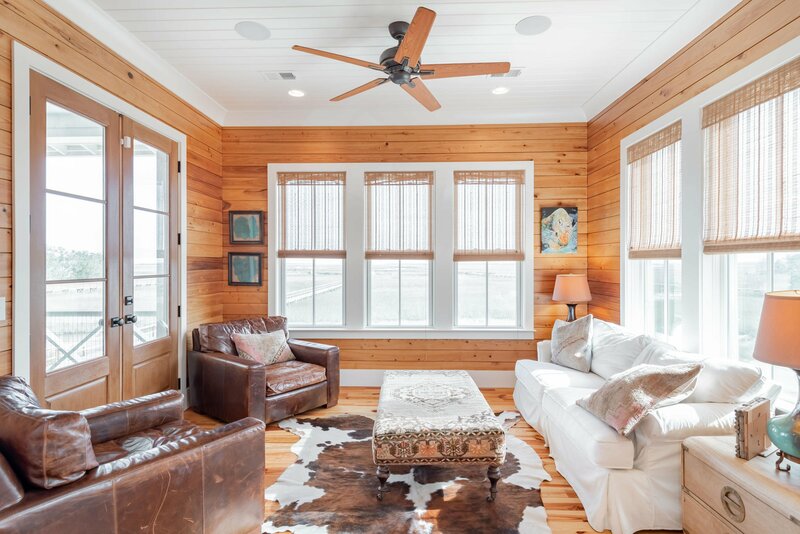 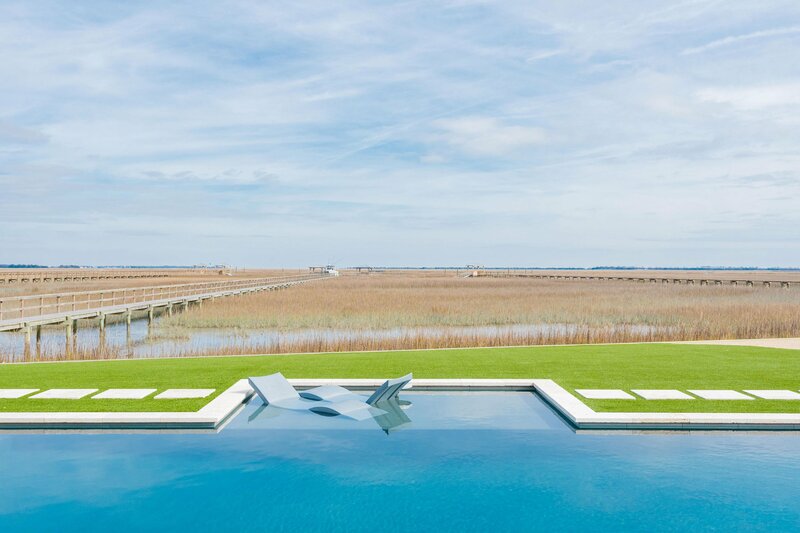 The elegant and comfortable space is perfect for year-round entertaining and the uninterupted views of the marsh and water are sure to impress. 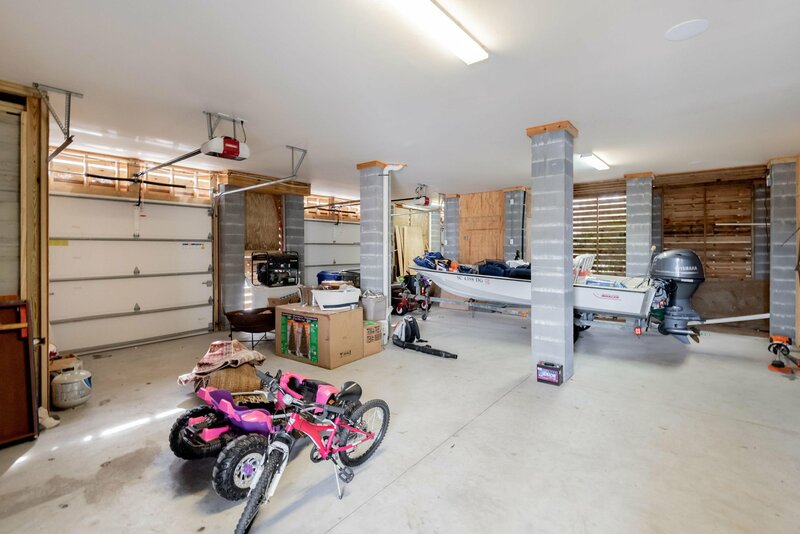 The home is also equipped with an elevator shaft and the first level provides additional space for multiple cars, a boat and storage. 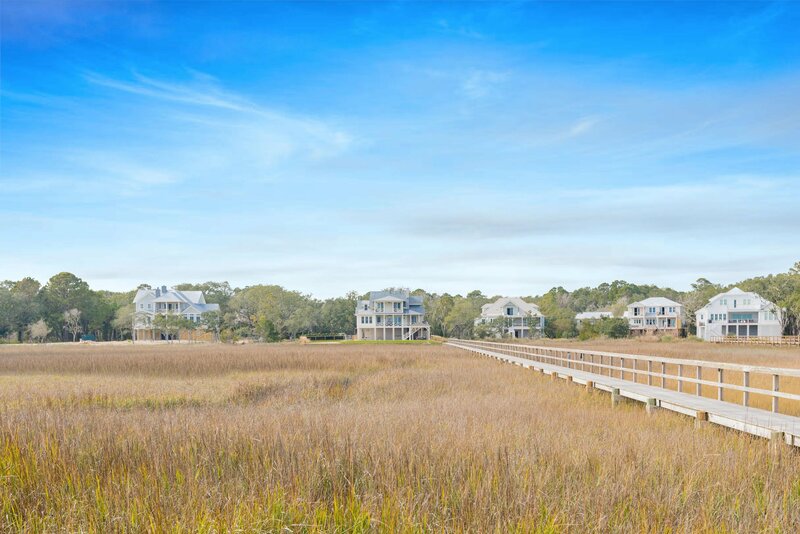 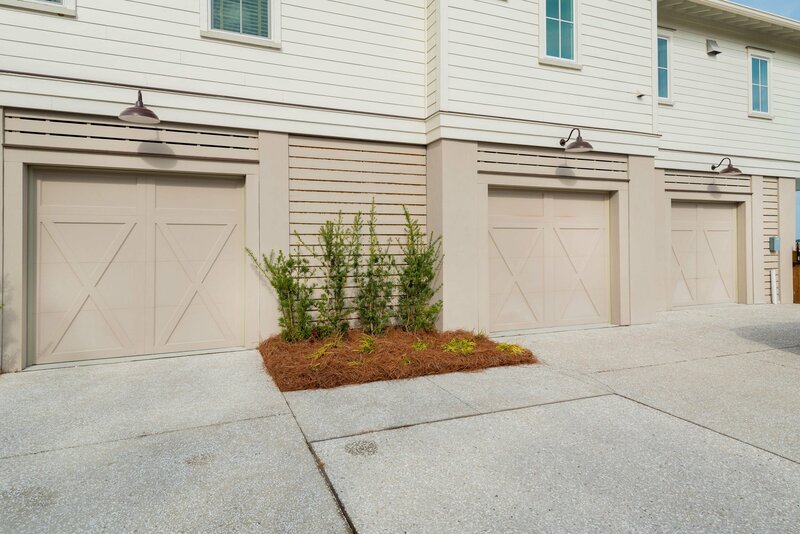 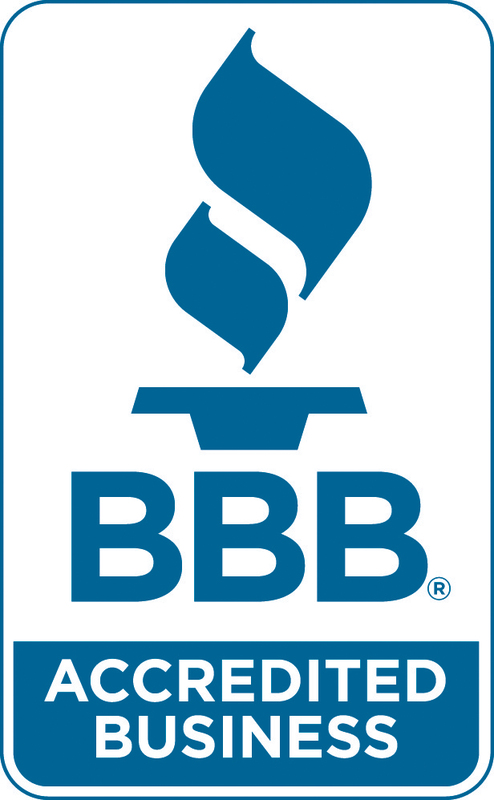 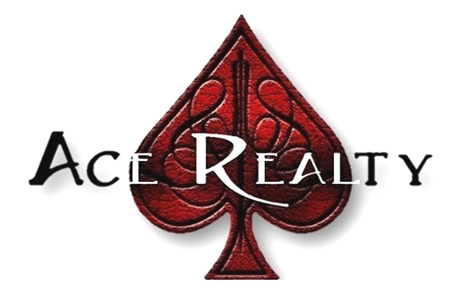 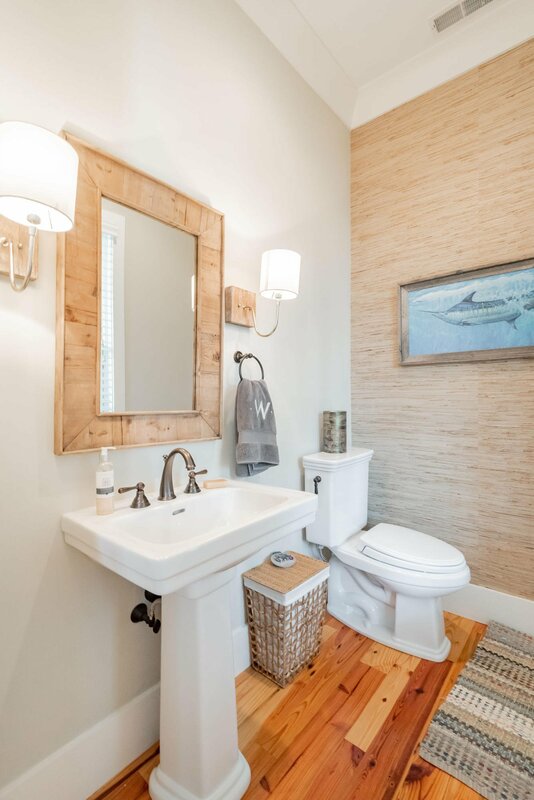 The location is also ideal--just minutes from Folly Beach and downtown Charleston.